HAYSTAK Signs to Rhymsick Entertainment; New Haywire Tour Dates Announced! Our homie Statik G from Rhymesick Entertainment just hit us with some HUGE news! As of yesterday, Tennessee native Haystak is now a member of the Rhymesick roster! This is big for both parties, and to celebrate, Haystak will be embarking on a brand new Haywire Tour which also just had a full lineup of dates announced which you can see later in this article! First though, check the official press release about the Haystak signing below. Denver, CO— 6/30/2018— As of 6/14/18, Denver-based record label and tour-building company RHYMESICK signed southern rapper HAYSTAK. Haystak is a billboard charting and RIAA certified gold recording artist who was also an actor in the movie “Hustle & Flow”. RHYMESICK, known for working with hot, unheard talent is making a major move by signing an artist with the level of accolades like HAYSTAK. The young label has announced they plan to continue the strategy of signing iconic rappers as well as new talent to bring the best music possible to the hip hop world. HAYSTAK will be launching promotion of his next album with a new tour called the HAYWIRE TOUR presented by RhymeSick Tours. RhymeSick Tours has previously worked with artists including Project Pat, Afroman, Do or Die, Crooked I and more until striking a relationship with the southern rap legend. “Haystak was our Eminem,” said Jelly Roll, TN-based national rapper. Current tour dates are routed from WY, CO and AZ to TN, AL, and FL as well as many other cities/states and official routing will be announced 7/01/18. 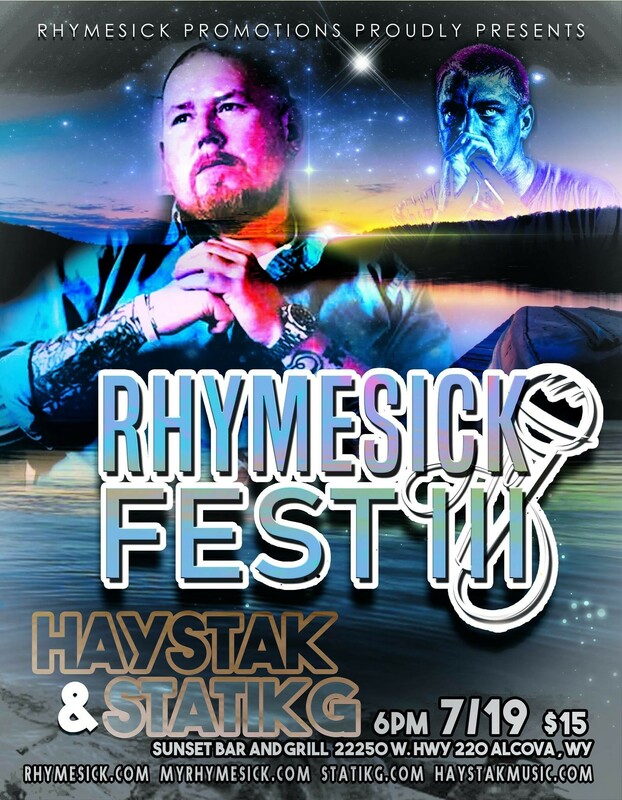 The HAYWIRE Tour begins at 3rd Annual RHYMESICK FEST July 19th, 2018 at Alcova Lake, WY. HAYSTAK is available for interviews, shows and appearances immediately and is being managed by RhymeSick founder and artist, Statik G. RHYMESICK’s commitment to deliver the best new music with respect to new and old hip hop alike is what drove Haystak to partner with the record label. Haystak aka “Mac Million” respects RhymeSick’s mission and has agreed to join the cause. Founded in 2016, RHYMESICK LLC is a rising force in the industry and is changing the game for artists at all levels of the music business. The names of actual companies and products mentioned herein may be the trademarks of their respective owners.